Eleanor Merritt – artist, ASALH Member, and Black Muse Exhibitor was featured as an Amazing Suncoast Woman on ABC News, February 13, 2018. Eleanor is indeed amazing! On January 31, 2018, Eleanor Merritt and Michelle Redwine appeared on ABC’s The Suncoast View to talk about ASALH’s Black Muse Exhibition at Art Center Sarasota. They spoke about ASALH and examples of their art. Manasota ASALH’s 20th Annual Holiday Breakfast, Thursday, December 7, 2017, was covered on the front page of the Herald Tribune on Friday, December 8, 2017. The article includes a powerful and poignant historical account about the grandfather of Breakfast Co-Chair, Dr. Caryl Sheffield. Great news! As a part of the Newtown Alive program, Sarasota fourth graders will tour historic markers in Newtown in January and February of 2018. Dr. Randall Morgan, Manasota ASALH member, Orthopedic Surgeon, and R & B and Blues Singer extraordinaire! Our celebrated member, Dr. Bernard Watson, has been featured in another article. A photograph of Dr. Watson and his lovely wife, Lois accompanies the article. ASALH Awards $33,000 in Scholarships Manasota ASALH’s 2017 Scholarship Awards presentation, article published in the Herald Tribune, e-edition June 16, 2017. Manasota ASALH is proud to support the award-wining program, Newtown Alive! Enjoy the Newtown Alive Newsletter! ASALH Awards 14 Scholarships Manasota ASALH’s 2016 Scholarship Awards presentation, article published in the Sunday Herald Tribune, May 29, 2016. 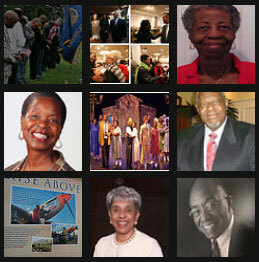 Recipients Pictured in scholarship article, Left to right	Back Row:	De Ándrea Mathis (in green), Elijah Bowers, Olivier Barolette, Anthony Moore, Frederick Chinwuba (father of Tiffany Chinwuba)	Front Row:	Kaci Newsome, Maebell Grabill (Aunt/Guardian of Geraldine Henderson), Anthony Salerno, Monica Gilley, Edonya Timmons	Note: The other four recipients did not attend because of test schedules at school. The New Migration: A New Wave of Prominent African-American Retirees is Changing Our City article published in the May 2016 issue of Sarasota Magazine features several members of Manasota ASALH, including quotations from President Mark Jackson. Tuskegee pilot honored at National WWII Museum article about Tuskegee Airman and Manasota ASALH member, George Hardy published on the front page (and continued on the inside) of the Herald Tribune on April 20, 2016. Black Almanac Manasota ASALH Past President and 20th Anniversary Luncheon Chair, Mrs. Lois Watson and Historian, Dr. Lonnetta Gaines appear on ABC TV’s Black Almanac with Dr. Ed James, II along with former Manasota ASALH scholarship recipients, Chelsea Williams and Ed James, III. Show aired on ABC TV, January 31, 2016. Manasota ASALH Members Robert Fitzgerald and Bernard Watson appear on WEDU in connection with the airing of the “Veterans of Color” DVD in November of 2015.